There are many benefits that a blog post can offer your business or organization. For starters, it can help you grow your website and boost your search engine rankings, thus making it easier for potential customers and clients to find you online. 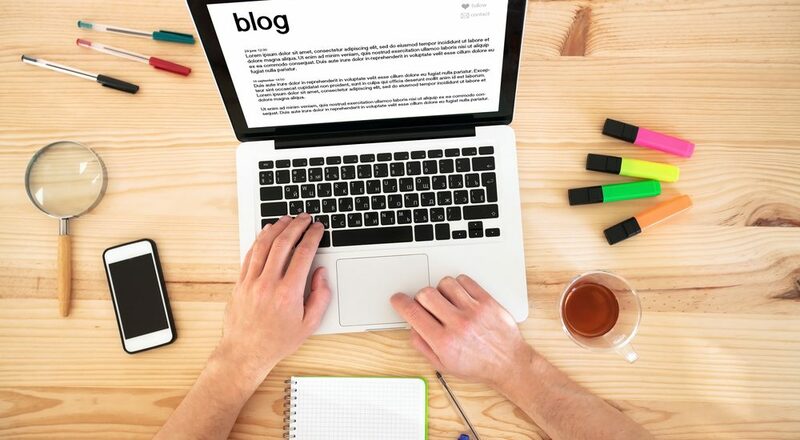 Moreover, your blog can offer true value to those visitors–informing, inspiring, and entertaining, all while establishing your business as an authority in your industry. A great blog post might even be shared among people who are interested in your industry–thus expanding your reach even further. Of course, dreaming about a blog and actually writing one are two totally different endeavors! Fortunately, getting started is easier than you think: all it requires is a bit of hard work and dedication! Here are a few tips that will help you through each and every stage of writing a fantastic blog post. Ask yourself about your goal in writing this blog post. Perhaps you wish to convey technical information that will be useful to experts in your field. Perhaps you want to be witty and garner social media attention. Or perhaps your main aim is simply search engine optimization. Whatever your goals may be, it is crucial that you understand them before getting started. Once you have established your objective, a bit of research may be necessary. Perhaps you need to review some of the concepts you will be writing about–or perhaps you need to figure out which search engine keywords you want to focus on incorporating. Doing this research before you start writing will ultimately make your writing far more efficient. Make an Outline. Last but not least, it is often very helpful to make a brief outline of all the points you wish to cover in your article. This will help you stay focused as you write, while also ensuring that you give attention to every idea you meant to write about. The small amount of work that you did to plan ahead should make writing a breeze. Here are two tips to keep in mind as you work on getting the words onto the screen. Have Fun. Because most people learned how to write in school, they approach writing as a dull academic exercise. Not surprisingly, this makes for dull content that is boring to write and even more boring to read! Unless you are writing an extremely technical blog post aimed for a very formal audience, there is no reason to be overly formal in your writing! Instead, imagine that you are writing the post for a friend: be fun, be funny, and enjoy yourself! Beat Writer’s Block. We’ve all had the experience of staring at a blank screen waiting for the words to come. As we mentioned before, an outline is a great remedy for that situation–but it isn’t a panacea. It is quite possible to get stuck at any point while writing, and that experience can be quite frustrating. During these moments, the best thing to do is break the pattern. Go get a snack, or call a friend, or at least take a moment to remind yourself that you will still have the chance to edit anything your write and then subsequently don’t like! Don’t Publish the Same Day You Write. It’s hard to see your writing with an objective eye when it is still fresh in your mind! Check for More than just Typos. Typos are certainly unacceptable, and they show a lack of professionalism. However, it is equally as important to watch out for structural errors, incomplete information, and sections that add no real value to your blog. Remember that it is sometimes better to be short and sweet! Incorporate diverse forms of content. Adding a photo, a graphic, or even a video to accompany your blog can help it stand out to readers and search engines alike! Building an effective blog means setting aside time to write regularly. The more frequently you post, the more readers will check your blog for updates, and the more professional your blog will appear. Guest posts and professional content writing services can also be a wonderful supplement to your own writing. For more great blogging and social media tips, visit FrogMan Media Group online today!